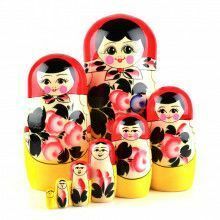 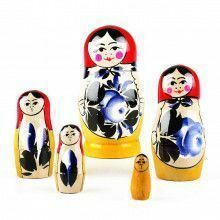 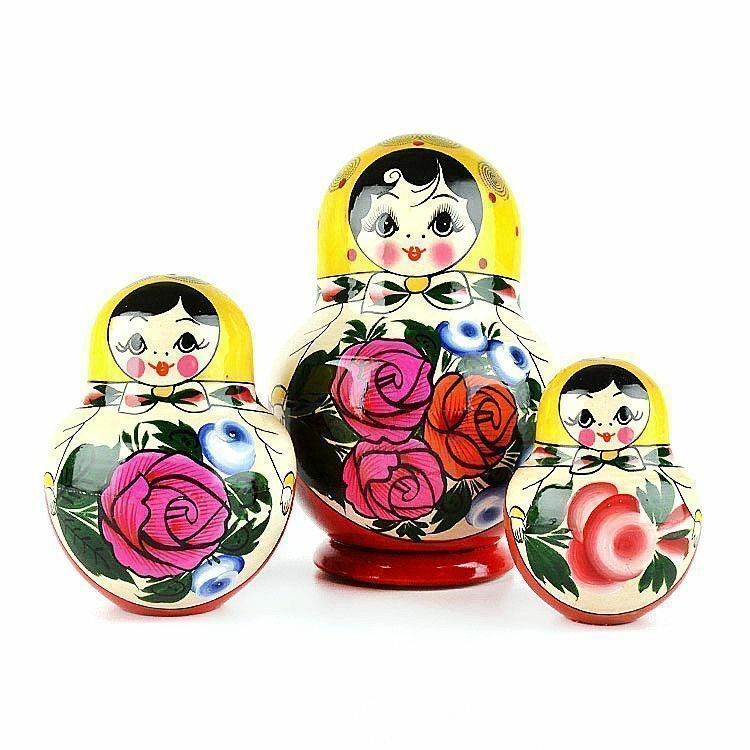 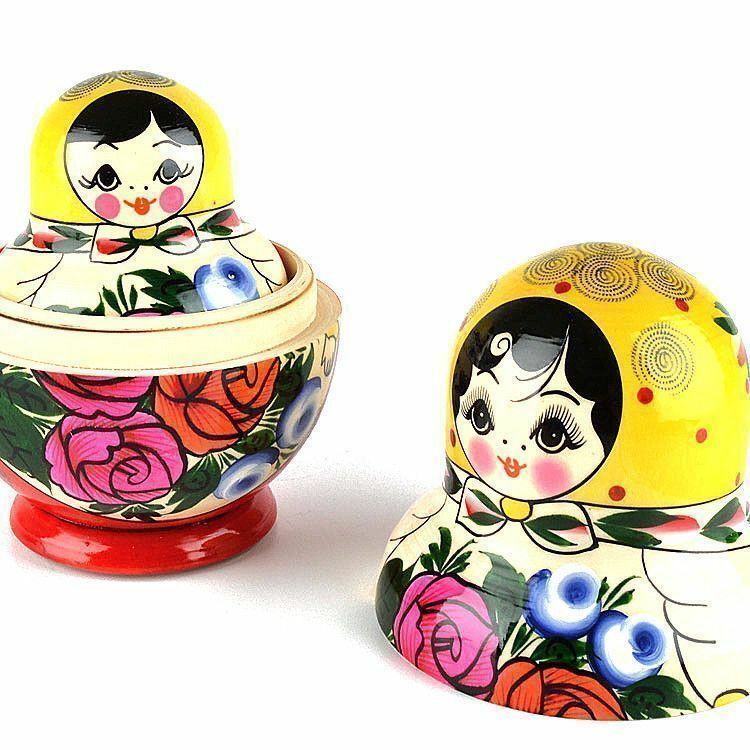 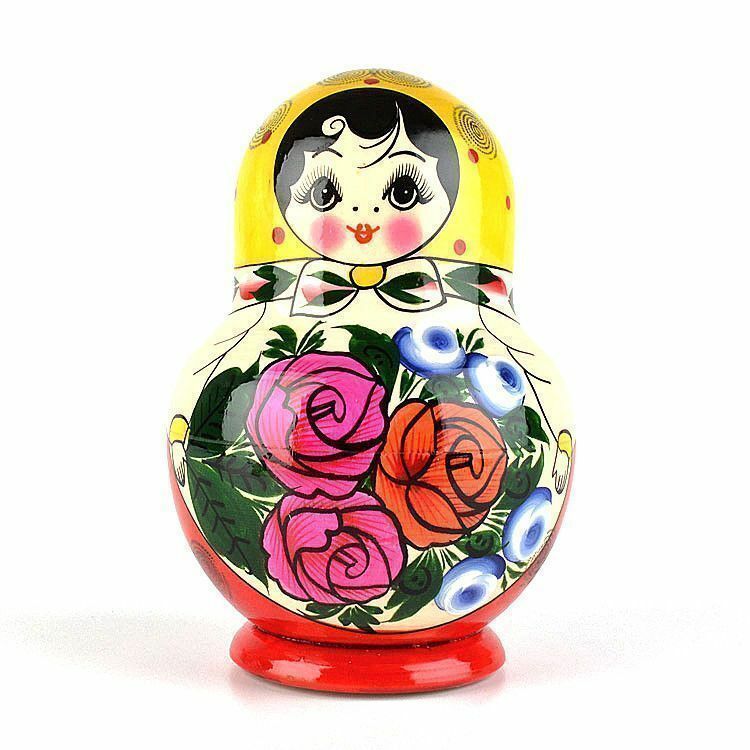 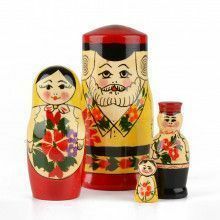 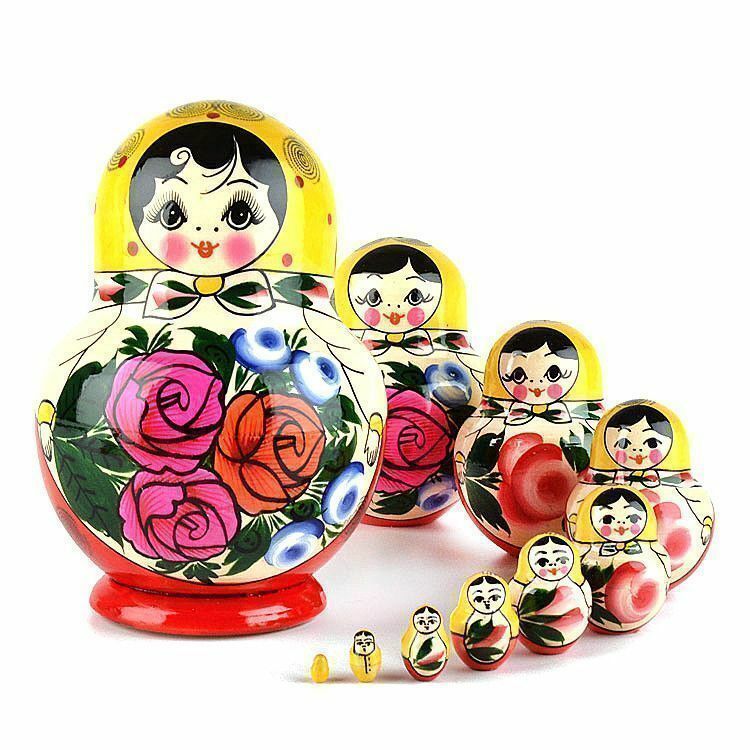 Make your home or office decor a little bit more interesting with a classic "Red Roses" matryoshka nesting doll such as this one! 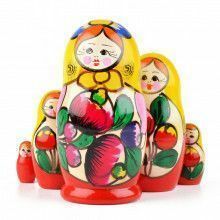 Crafted and painted in Russia, this Approximately 6 1/4" tall x 4 1/4" wide wooden doll features a cheerful face, bright colors, and a gloss finish. 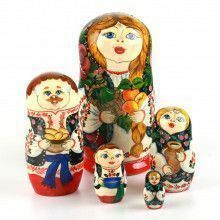 "Short and chubby" variety.